Born in a remote village in Kerala to a father who was a daily wager, Musthafa PC was a school dropout who later did his Engineering in Computer Science from NIT Calicut & MBA from IIM Bangalore. During his childhood, breakfast was a luxury and three meals a day was a dream. 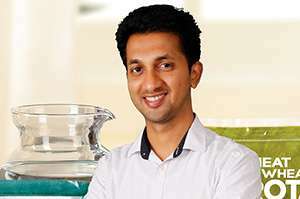 He co-founded iD Fresh Food in 2006 with his cousins and currently employs 1500+ youngsters from rural India. 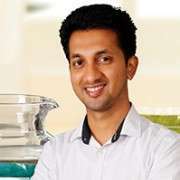 Today his healthy idlis, dosas and other fresh, preservative-free products feed millions on a daily basis. Inspired by traditional Indian values, iD Fresh Food promotes authentic Indian foods which are fresh, 100% natural and preservative-free. Today, iD Fresh Food is a Rs. 1000 crore brand. PC is driving the passion of all the five co-founders in building a unique fresh food company. The company’s latest marvel product, iD Squeeze-and-Fry Vada Batter, has been applauded across the globe for its innovation and the video went viral. PC has been lauded with many prestigious awards like the India Today Make in India award, JCI National Award, Vocational Excellence Award, Entrepreneur India Award, among others. He was invited to share his success story at Harvard Business School and MIT Sloan Business School this year. He is part of the Indian Philanthropy Initiative & also works very closely with DIAV for the welfare Army Martyrs’ next of kin. PC is also part of the Prime Minister’s “Champions of Change” team with a vision to build a new India by 2022. His idea for traffic system automation is part of the “New India Synopsis”.